This paper is written with the intent to present a snapshot about what treating trauma with Eye Movement Desensitization and Reprocessing (EMDR; Shapiro, 1989) therapy in the military (Lipke, 1995) has been like for two commissioned U.S. Air Force (USAF) mental health providers. Dawn Brock is a licensed Clinical Psychologist, Major and Flight Commander for a Mental Health Clinic (MHC) at Altus Air Force Base (AFB), Oklahoma, and Amy Roberts is a licensed Psychiatric Nurse Practitioner, Captain, working at a large MHC at Wright Patterson AFB, Ohio. EMDR is one of three Veteran’s Affairs/Department of Defense (VA/DoD) evidence based practices (EBT) for PTSD (2010); until October 2015, USAF providers did not receive training in EMDR. It is hoped that this article will shed light on the need for more EMDR therapists in the military, specifically the USAF. The year is 2007, the military is heavily engaged in Operation Iraqi Freedom, all branches are deploying to the combat zone in frequent 6-month to 15-month cycles. The military operations tempo is high, but mental health problems are increasingly surfacing, fatigue is starting to set in for some, while the rate of deployment volunteerism is bafflingly high for others. Literature about working with the military and their families are abundant, particularly in relation to the stressors of deployment and the reintegration process following deployment. The high operations tempo often masked the impact of the deployed duties and experiences. For one of the first times in history, Airman, Seamen, and women were recognized for frontline, boots on the ground, war efforts. This same year, Dr. Brock was entering the USAF to complete an American Psychological Association Internship at Malcolm Grow Medical Center, at the then called Andrew’s AFB, Maryland. Prior to 2007, Dr. Brock worked with Police, Fire, and EMS in and around the states of Rhode Island, Massachusetts, and New Hampshire. Through ride-alongs and on-duty interactions, she spent years learning first-hand what stressors first responders experienced. In 2004, she learned how to treat their traumatic experiences with EMDR. EMDR was the treatment of choice in the specialty program she worked during that time, and from Dr. Brock’s perspective, the clinical utility of EMDR was incredibly efficient and effective for First Responders. Dr. Brock found through the work of the other clinicians and her own services, that EMDR not only allowed the first responder clients to continue their careers, but allowed some of whom were referred to as “double hatters” to continue to deploy. That is, it is not uncommon for many first responders to also be members of the National Guard or Reserves. This specialty population is in large part why she chose a military internship. It was not a comfortable experience for her to treat “double hatters” without understanding the military culture or the deployed environment. Dr. Brock’s internship and continued military experience provided her with a wonderful anthropological opportunity, while continuing to hone her trauma therapy skills. During her residency year, Dr. Brock and her peers were trained in both Prolonged Exposure (PE; Foa, Hembree, & Olasov Rothbaum, 2007) and Cognitive Processing Therapy (CPT; Resick, Monson, & Chard, 2006); EMDR therapy was not permitted for use during the internship year. After implementing PE and CPT with various patients, Dr. Brock continued to prefer and be a proponent for EMDR therapy. 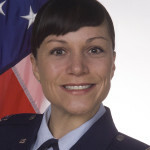 In the fall of 2008, Dr. Brock received her first assignment to Robins AFB, Georgia during which her supervision gave permission for all trained providers to use EMDR therapy. Dr. Brock was then fortunate to be relocated to two overseas locations and her current stateside assignment that have not only allowed EMDR therapy, but also provided her the opportunity to pursue becoming an EMDR International Association (EMDRIA) Certified Therapist and Approved Consultant. Dr. Brock’s experience with EMDR therapy in the military environment was that it was a silent skill. Therefore, she had not considered pursuing becoming an EMDRIA Approved Consultant until a previous supervisor contacted her about being an EMDR Consultant for the Mental Health Clinic staff at Wright Patterson AFB; specifically, for a Psychiatric Nurse Practitioner, Captain Amy Roberts. It was at that moment that Dr. Brock was hopeful that the culture of trauma treatment in the USAF was changing, and she anticipated that this opportunity might promote EMDR around the USAF. The opportunity to be trained in EMDR in 2012 seemed like a natural progression in Captain Roberts’ career. 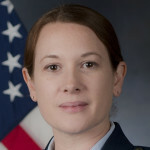 Following completion of the psychiatric nurse practitioner program at Fairfield University in Connecticut, she was preparing for transition to active duty service in the USAF. She first began putting training into practice during clinical rotations in the VA Healthcare System, where she was one of two providers using EMDR to treat PTSD. These experiences motivated Captain Roberts to bring EMDR to the military. It was both a surprise and a source of motivation when she arrived at Wright Patterson AFB and realized she was the only EMDR trained provider in one of the largest outpatient MHCs in the USAF. While most mental health providers there participated in annual DoD sponsored trainings for PE and CPT, EMDR therapy was not on the training radar. Similar to Dr. Brock, the use of EMDR in Captain Roberts’ practice was sanctioned, but the silence around the absence of EMDR training for other military providers carried on without contest. She provided pharmacotherapy for service members, veterans, and adult beneficiaries suffering from a variety of mental health conditions, including many with PTSD seeking medication to manage their symptoms. Some had previously attempted PE or CPT, or both. Most patients had never heard of EMDR. It became clear to Captain Roberts that this was not due to patient preference. The clinical need for increased access to all of the EBTs for PTSD was evident. While mental health providers continued to refer military members to off-base intensive PTSD treatment programs, the sheer number, complexity, and potential lethality of PTSD in active duty MHCs continued to grow. This felt like an ethical dilemma sitting on a culture of status quo. The inter-base relationship developing between Dr. Brock and Captain Roberts became a catalyst in their mutual efforts to bring EMDR to the active duty USAF population. The need for unrestricted access to all EBTs for PTSD, including EMDR seemed indisputable and incompatible with the empirical knowledge of its benefit. With guidance and support of Dr. Brock miles away at Altus AFB, Captain Roberts was driven to facilitate EMDR training at Wright Patterson. Her journey led to meeting Dr. EC Hurley, a retired Army Colonel with over 33 years of service in the US Army and EMDR training experience. Dr. Hurley agreed to provide the training, and Wright Patterson AFB leadership perceived this opportunity as not only a way to recapture referrals, but also a means to strengthen readiness and return more service members to duty. Finally, Captain Roberts’ campaign for EMDR proved to be successful. In August 2015, Wright Patterson Medical Center MHC was granted funding for Dr. EC Hurley, an expert in military trauma, to facilitate EMDR training for 24 mental health providers from three USAF MHCs; eight of these providers are interns who will take their skills to their first USAF assignment, stateside and abroad, later this year. Dr. Brock and Captain Roberts have now worked together for 15 months. This is a pivotal, history-making moment in the EMDR therapy movement and for the USAF. As any EMDR therapist can appreciate, despite nearly 30 years of empirical support, EMDR therapy has remained widely unsupported and this discrimination of treatment must no longer be tolerated. It is important to recognize that even with training in PE, CPT and EMDR, many mental health providers offering services to military members will not desire to provide trauma treatment, and those who do will likely prefer one treatment/form of therapy over the others. It is a best practice to offer training and clinical support for all three. To discriminate against EMDR therapy is a disservice to the men and women suffering from the experiences endured while serving our country. It is also the hope that EMDR therapists across all branches of military service keep this dialogue open and voice their experiences and recommendations, and understand its application beyond trauma; more specifically that EMDR has empirical support for treating other diagnostic presentations and comorbidities that also have significant career impacts for military members. Perhaps the EMDR training opportunity at Wright Patterson AFB will inspire more funding within the DoD to not only train providers, but also conduct research on the use of EMDR for active duty members and veterans. In the meantime, Dr. Brock and Captain Roberts are two women who share a sense of pride in knowing their combined efforts to challenge what was and inspire what can be laid groundwork for the future of treating military trauma in the USAF. an/military version. Washington, DC: Department of Veterans Affairs. disorder. Journal of Behavior Therapy and Experimental Psychiatry, 20(3), 211-217. Dr. (Major) Dawn M. Brock is a Clinical Psychologist, with an American Board of Professional Psychology specialty in Clinical Psychology. 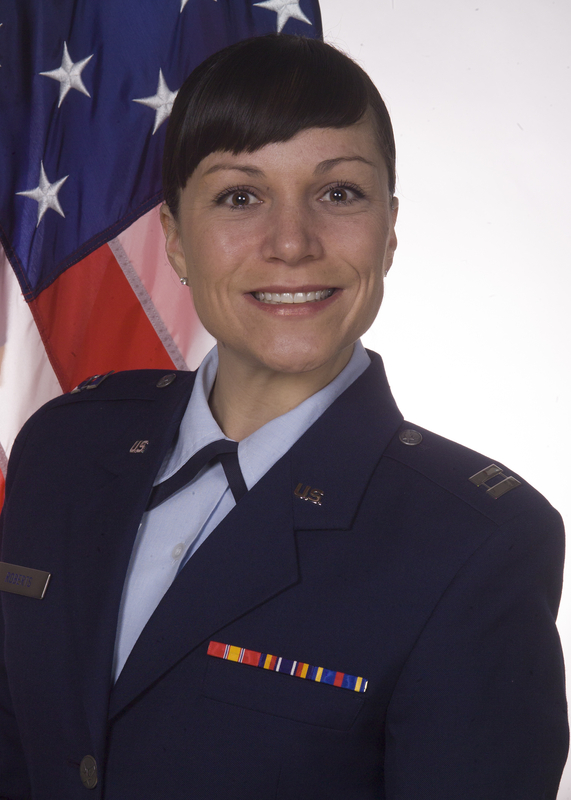 Dr. Brock is also a U.S. Air Force commissioned officer, currently stationed at Altus Air Force Base, Oklahoma. Dr. Brock serves as the 97th Medical Group’s Mental Health Flight Commander, where she is responsible for 14 staff and five programs to promote the psychological health of 5,000 beneficiaries. She was raised in Joliet, Illinois and following the completion of her Clinical Psychology Doctoral Internship program at Joint Base Andrews in 2008, received her doctoral degree from Antioch University, New England. 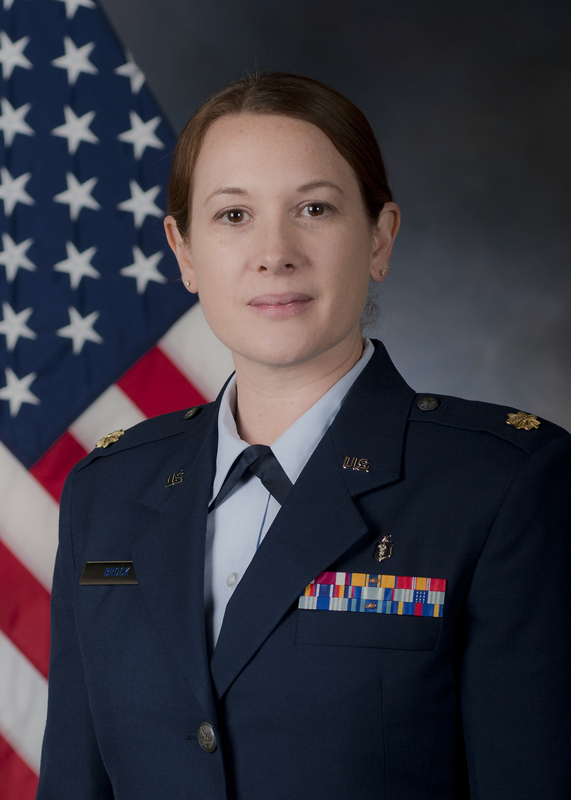 Captain Amy Roberts serves as Psychiatric-Mental Health Nurse Practitioner, USAF, 88th Medical Group, Wright Patterson Air Force Base, OH where she provides full spectrum psychiatric care to service members, veterans, and adult beneficiaries. She graduated from University of Connecticut (BA) and Quinnipiac University (BSN). Roberts went on to complete her Master’s degree in nursing at Fairfield University and received certification from the American Nurses Credentialing Center as a Family Psychiatric-Mental Health Nurse Practitioner in 2013. Roberts was born in 1983 in Milford, CT. She currently resides in Dayton, OH with her husband, Tim.